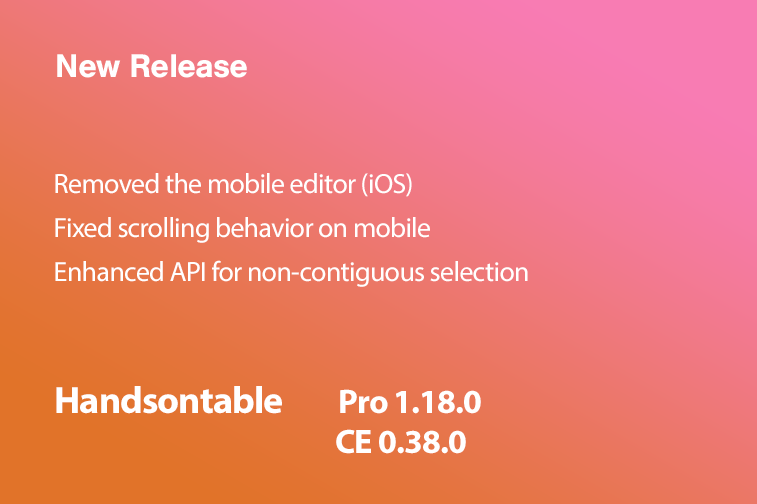 Today we have released a new version of Handsontable Pro (1.18.0) and Community Edition (0.38.0). It includes one backward-incompatible change which is a removal of the mobile editor. That editor was a special pop-up built to help navigate between cells and editing data on iPads and iPhones. The editor is now available in its standard form and can be enabled by a double-tap. CEO at Handsoncode. He worked for many years as a project manager in e-commerce, finance and banking.